† Gibbons  notes "It is now believed that the 5, 10 and 15 cowries values … previously Nos. 1, 3 and 5, do not exist". Gibbons  states that "following a period of conflict between Islamic, Protestant and Roman Catholic factions, Uganda was declared to be in the British sphere of influence by the Anglo-German Agreement of July 1890". It goes on to say that the British East Africa Co, exercised some control until Uganda was declared a British Protectorate in August 1894. 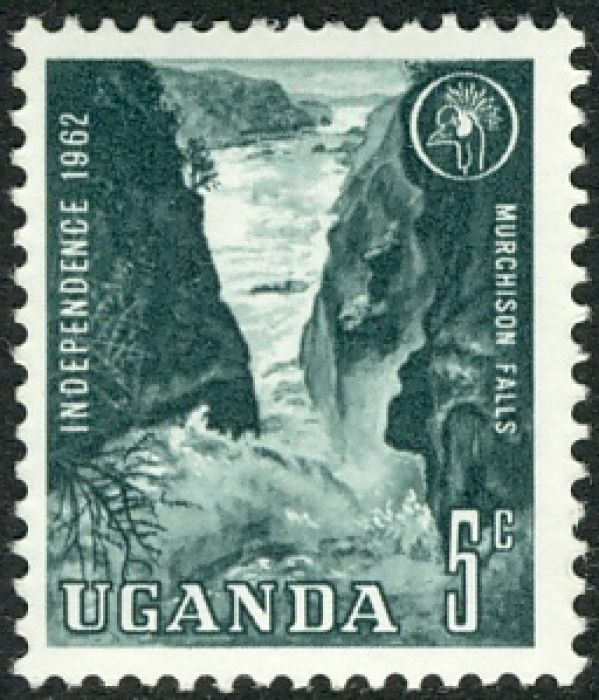 Uganda's first stamps were type-written by Rev. E. Millar at Mengo (he switched typewriters in April 1895 to one with a narrower font, Sc17 SG17 onwards) and until 1898 issue (Sc69 SG84) the stamps were only valid for internal postage. Each sheet of stamps was different, configured to meet the need at the time. 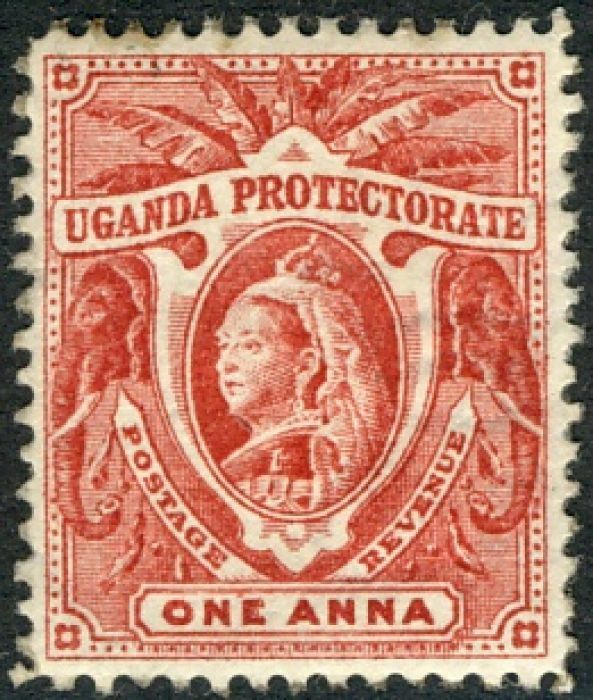 In April 1901 Uganda's postal service was merged with that of Kenya. Uganga became independent on 9th October 1962. Sources: ScS, SGP1 , SGS. Image from Seigel, David Olson.